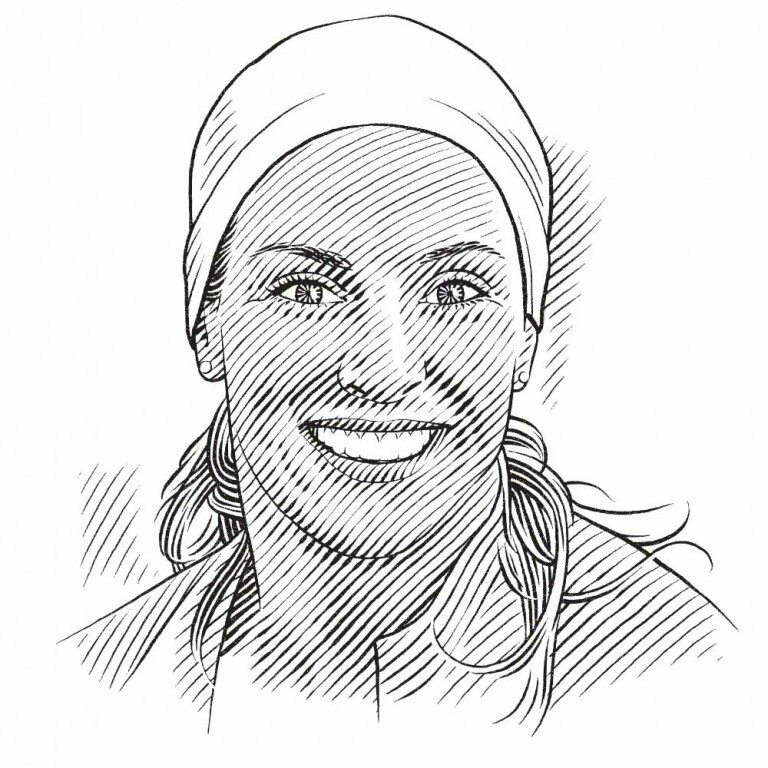 Eleanor Yeld Hutchings describes the summer holiday programme run by the Save Our Seas Foundation’s Shark Education Centre in Kalk Bay, South Africa. Nothing says Cape Town summer holidays like the sun shining brightly, a light south-easterly wind blowing off the sea, and the Dalebrook tidal pool packed with people before 8 am. 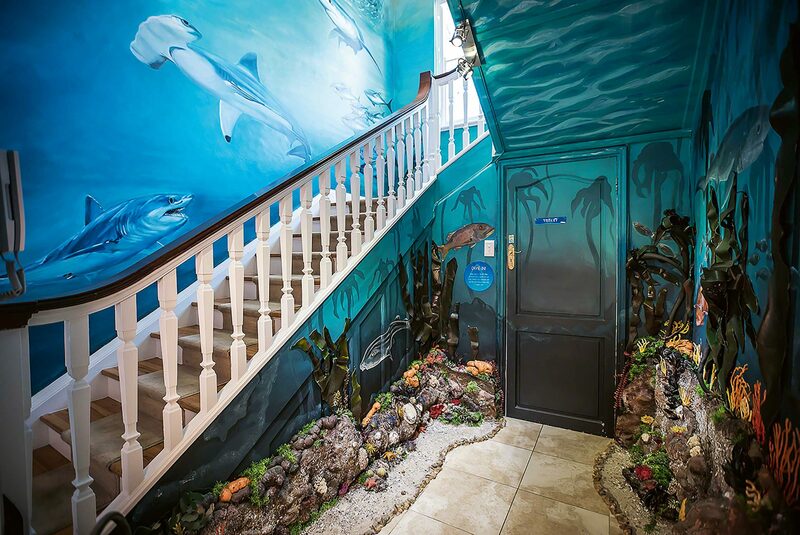 At the Save Our Seas Foundation’s Shark Education Centre in Kalk Bay we have opened the doors, put out the sea creatures made from recycled materials, turned on the exhibits and are eagerly waiting for our first arrivals of the morning. The name labels are ready, the arts and crafts supplies are laid out and the train tickets are booked. Yes, it’s Holiday Club time, a favourite with all the centre’s staff! The South African school year is divided into four terms, with holidays over December/January, March/April, June/July and September/October. During each of these holidays, the Shark Education Centre’s Holiday Club is an event that ranges in duration from one to three days. 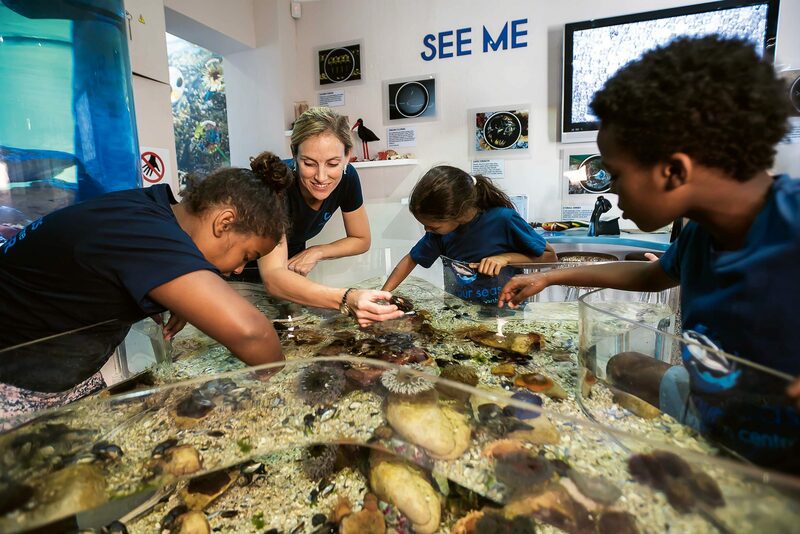 It is billed as, ‘For kids who would like to have fun while learning more about our oceans! 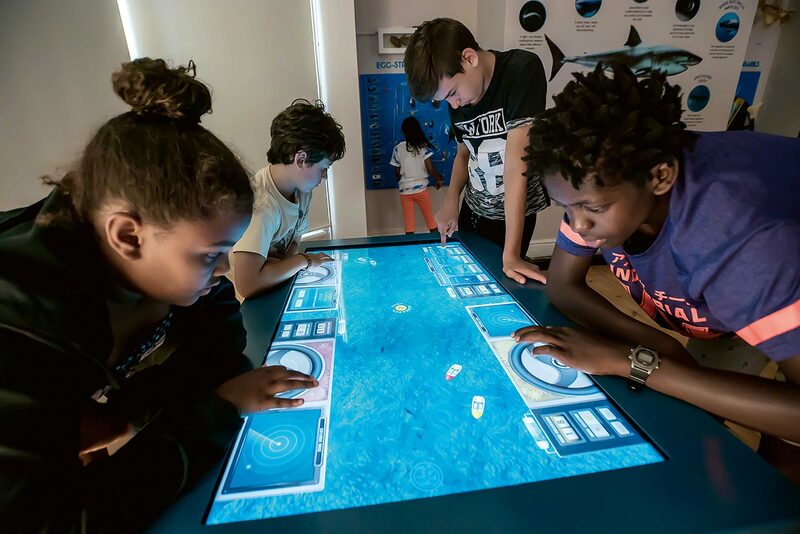 The programme is designed to suit children aged between six and 11 years old, with activities to entertain and educate them about our marine environment. The programme includes exploring rock pools, going on beach hunts and swimming (depending on the weather and tide), as well as hiking, doing arts and crafts, baking and watching shark documentaries.’ All of which essentially means that we get up to anything and everything under the sun – and sometimes indoors too. The Holiday Club is a perfect opportunity to experiment with new activities and ideas. Because we are limited to 20 children per day and have a specific age range, we have a bit more freedom to test things out than we do in formal education programming. So all of us store up ideas for activities and games and crafts and pretty much anything that we see throughout the year, so that when the next Holiday Club comes around we can bring out all the new things to try. 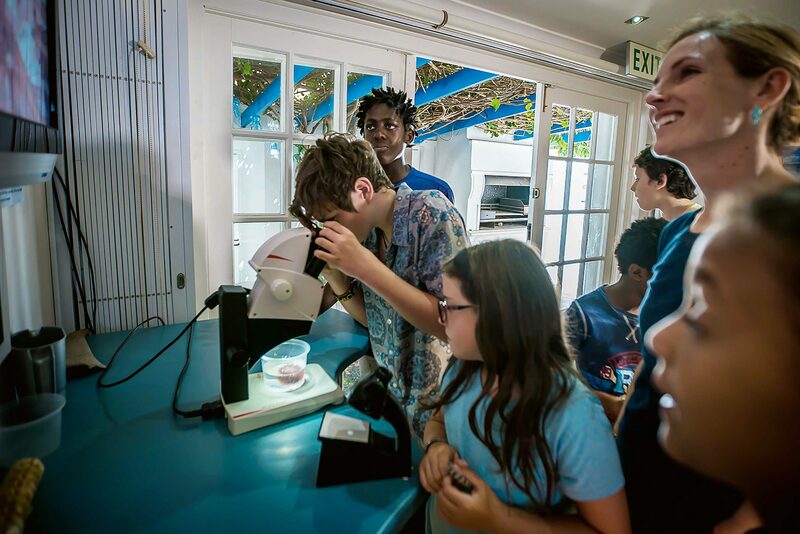 Some of them prove to be extremely popular, like the game ‘Feeding Frenzy’, which was inspired by an activity taught by uShaka Marine World education staff at the 2016 Marine and Coastal Educators Network national meeting. These then make their way into regular rotation as part of our arsenal of activities for children’s camps and clubs. One of the challenges of Holiday Club is the fact that, as the name says, the events are held during the school vacations. Holidays are very different from term-time days! 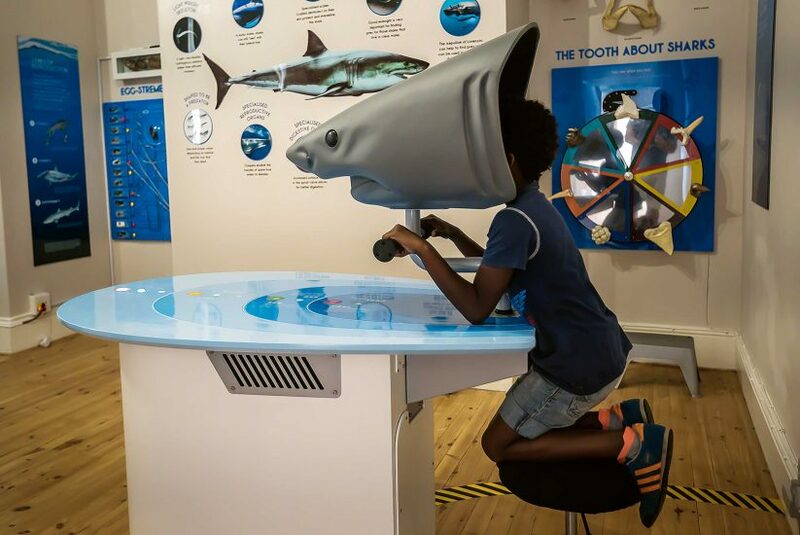 During a normal school outing to the Shark Education Centre, learners are still ‘at school’ (at least in their expectations) and so learning is at the forefront of their minds. When on holiday, the expectation is most certainly to have fun – and learning takes a back seat. We need to be aware of that and to make sure that Holiday Club lives up to its name and that the children taking part get to have a real holiday experience … and then we can sneak some learning in as well! Luckily December in Cape Town is usually beautiful and summery – perfect beach weather – and so spending time outside is easy and the fun practically makes itself. December 2016 was no exception, and the lovely summer weather suited us perfectly. Over three days we went rock-pooling in the Dalebrook Marine Sanctuary; took the train from Kalk Bay to the nearby Muizenberg beach, where Nicole from the Shark Spotters did some fun activities with the kids; painted marine-themed T-shirts; found out exactly how big a whale shark is from Daniela Vilema from the Galápagos; made festive cards from beach debris; explored the fishing harbour; and of course spent time swimming and playing on the beach. The only down side was choosing which of our favourite activities to leave out. Luckily the Easter holidays are not too far off and so our next Holiday Club event is within sight, with more fun, new and old games, and some more learning through play!